I’m a huge Marvel fan, in case you didn’t realize and I wish they could do more at Walt Disney World with the characters and stories. 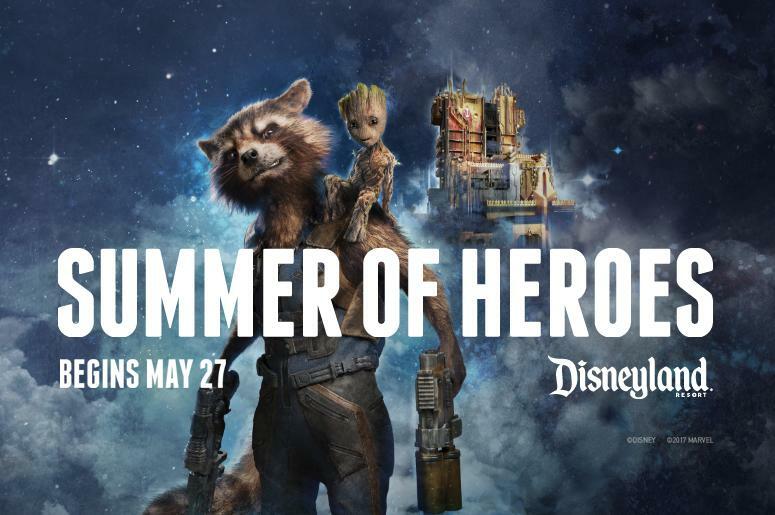 It’s exciting to see Disneyland celebrating these heroes this year with the “Summer of Heroes”. Super Heroes land at Disney California Adventure park today with the launch of Summer of Heroes! Through September 10, this limited-time celebration will feature all-new epic adventures such as Avengers Training Initiative and Heroic Encounter: Black Widow as well as special themed merchandise and food available throughout Hollywood Land. Summer of Heroes will also launch the new Guardians of the Galaxy: Awesome Dance Off! which will invite guests to join a rock ‘n’ roll bash alongside Star-Lord! So what characters are you most excited to meet in the park and are there any others you would love to see? Personally, I don’t know how they could do it, but a Hulk meet and greet would be fantastic. Of course, he would need to watch his temper. With Star Wars, we get to meet the bad guys Darth Vader and Kylo Ren so why can’t wee meet Loki or even Thanos? I know there are a lot of fans out there that would love to meet the villains. My hope is, one day, Marvel gets back the rights to all the characters and they will be able to be a part of not only Disneyland, but Walt Disney World.